The Loi Krathong Festival takes place on the full moon night in November and be celebrate with many fireworks and glowing laterns all across Thailand in South East Asia. Traditional this festival comes from Sukhothai and honors the Goddess of water. Locals from Thailand celebrate Loi Krathong with tiny boats which they take to rivers, lakes or the sea. The floats contains often symbols of the past like hair, pictures or fingernails to “letting go” or being freed of old troubles and for good luck in the future. The name Loi Krathong comes from the floats which called Krathong in Thailand. 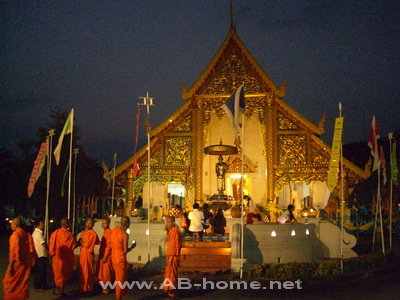 The Loi Krathong Festival is as well famous as Yi Peng Latern Festival or just Light Festival. 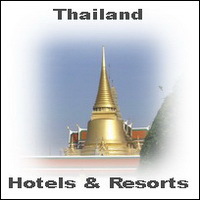 It is one of Thailand’s most magical festivals. I celebrate the light festival one time on Koh Chang and once in Chiang Mai. The biggest celebrations are in Bangkok, Sukhothai and Chiang Mai; it’s worthwhile to travel to one of these cities at Loi Krathong to be a part of this important and beautiful festival in Thailand.